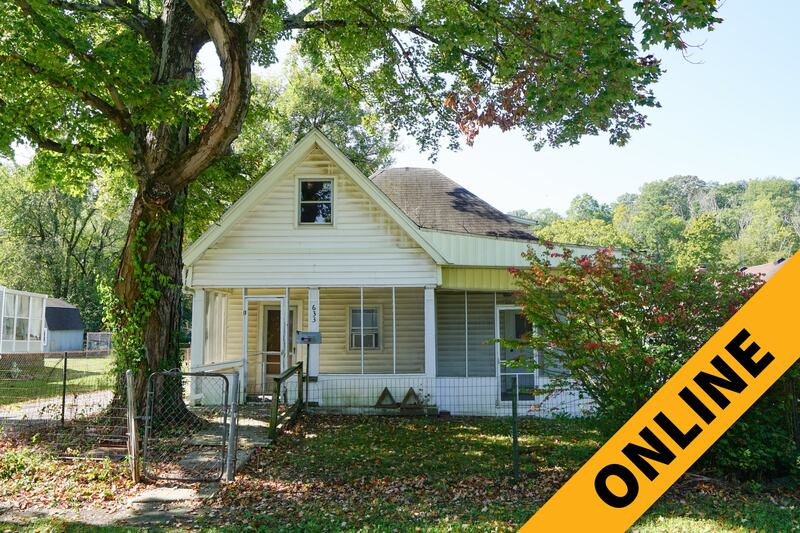 New Albany Cottage Online Auction — Harritt Group, Inc.
10% buyer’s premium added to the hammer bid price to determine final sales price. 10% Non-refundable down payment due the day of auction, balance due in 40 days. Taxes prorated to day of closing. Possession at closing. Selling as is without contingencies, all inspections welcomed prior to the auction. Final bid subject to seller’s reserve. Thursday, October 18, 2-4PM and Monday, October 22, 12-1PM or call for appointment. Selling online a 1 1/2 story vinyl siding two bedroom one bath home with screened porch and fenced backyard on 35’ x 120’ lot with alley access. Great opportunity for investors and homeowners! Circa 1929 vinyl siding 1 1/2 story home with 1051 square feet on first floor, 390 square feet up plus 2 screened porches on 35’ x 120’ lot with alley access. Home features 2 bedrooms, living room, den, eat in kitchen, 1 bath, equipped laundry utility room, central gas heat and window air units. Home located near downtown and shopping with easy access to expressway. Home needs renovations. State Street to West on Cherry Street. 3/4 mile to left on W. 8th Street across from Scribner Middle School. Home on right.